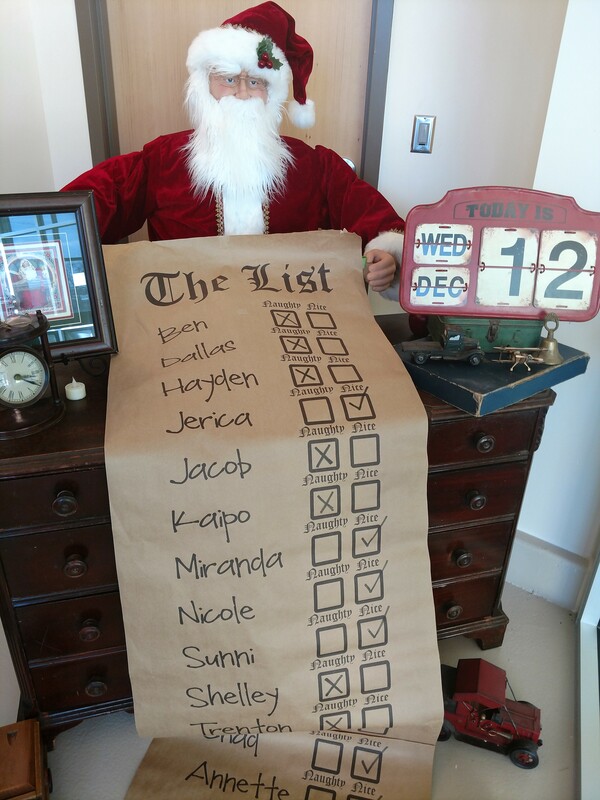 If you want to know if you are on the "Naughty List" or the "Nice List", all you need to do is come to the ALC. Santa is sitting in his office that is housed here making his list. Hopefully, before Christmas, they can get that changed so they do not receive coal in their stockings. Don't forget..... He sees you when you're sleeping, and I have it on good authority, he has quite a few elves circulating the District and checking with the school principals and counselors to see how students are fairing this second term.